Gwen Stefani surprised her singer boyfriend Blake Shelton on Monday by unveiling a new flagpole on his Oklahoma ranch for his 42nd birthday. 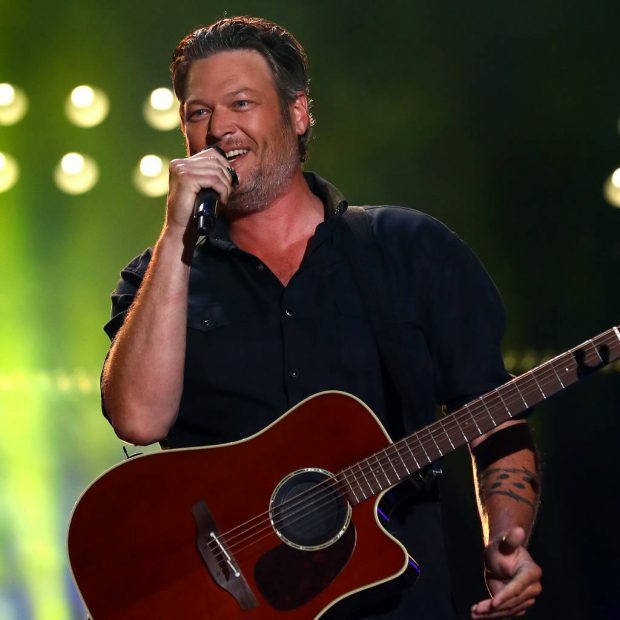 The country star began celebrating his special day early over the weekend, with Gwen sharing Instagram photos and videos of the couple hanging out with her relatives, who hail from Los Angeles, before heading back to his native Oklahoma. Gwen posted video clips of herself, Blake, and her kids taking a helicopter ride to his property by the lake, where she teased him to see if he noticed the new addition to the landscape. "What do you see? Do you see anything different?" she asked, as Blake caught sight of the towering pole, with the U.S. flag raised high. The pop star then uploaded a clip of Blake standing beneath the pole with his cap held over his heart, as she giggled in the background. "Blake's (birthday) day present from, me!! #flag #pole," she captioned a shot of her patriotic man. Shelton also received a huge cake moulded into the shape of a vodka bottle from his own Smithworks brand. Opening the cooler to reveal the sweet treat, he exclaimed, "What in the world is that? Wow, look at that!" "Thank you Smithworks family, it's the greatest birthday cake ever!," he added in another video, before taking a bite right out of the neck of the edible bottle. The group went on to enjoy some time frolicking on Blake's boat, before capping off the night with a big meal at home, hosted by Gwen. "B day dinner for my boo (sic)," she wrote as she showed off the table setting. The couple has been splitting its time between Gwen's home in Los Angeles and Blake's pad in Oklahoma ever since the stars started dating in the summer of 2015, following the breakdown of their respective marriages. Blake divorced fellow country musician Miranda Lambert after four years as husband and wife, while Gwen split from rocker Gavin Rossdale, the father of her three boys, after 13 years of marriage.